While not everyone may be familiar with the Bailiwick of Guernsey, many web users are familiar with the domain extension owned by this group of islands. The .gg domain is the country code top-level domain for Guernsey and several other islands located in the English Channel. It has grown in popularity in recent years due to its adoption by many state-side businesses and organizations. The domain extension offers a unique alternative to traditional .com, .org, or .net websites. Despite its delegation to this region, .gg domain is available to anyone in the world. Since the boom of online gaming and eSport, it has become synonymous with the gaming industry. The simple, two-letter extension is viewed as an abbreviation for “Good Game.” This phrase is uttered by players as a sign of good sportsmanship. The extension has been used by some of the biggest companies in the industry. If you want to stand out and get your website noticed by loyal gamers across the globe, this domain may be for you. Why Choose a .gg Domain Extension? With this extension tacked on the end of your web address, you’re already letting your audience know what you’re all about. It’s a simple and recognizable domain extension that is relevant among a large sector of Internet users. Video games are a multi-billion dollar industry with dedicated fans. Whether you’re creating a website for a game developer, publisher, or digital news outlet, the .gg extension can create an automatic connection with users. It can even be used by bloggers who want to cover the latest and greatest in video game content. The domain can ultimately help you reach your target audience. Web users searching for video game content will be more inclined to click on an address with the .gg extension than some of the more common alternatives. It’s an attention-grabber that may produce more traffic and natural growth. The great thing about the .gg domain is that it’s very versatile. You could easily tack the extension onto your company name for a simple web address that’s easy to remember. Because it’s not a traditional extension, web addresses with .gg look great on advertisements and marketing campaigns as well. For example, if you own a blog that reviews new gaming products, you could use the domain playa.gg. When spoken out loud, this reads, “Play a Good Game.” It’s short, simple, and indicates what your website is all about. 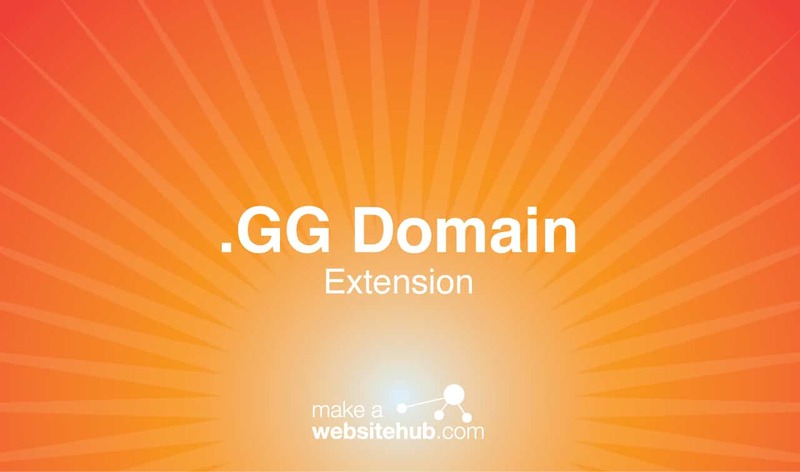 Another way you can use the .gg extension creatively is with domain hacking. The act of hacking a domain name involves using the extension to create small words that ultimately become a part of your company’s brand identity. This technique is quite easy with a fun domain like .gg. Where Can You Buy a .gg Domain? While the .gg domain extension was originally intended to be used by companies and individuals associated with Guernsey, the territory has opened up the domain for anyone interested in using it. It’s a very popular domain that’s offered by most good domain registrars. Here are a few you should check out. You’ll be happy to know that there are no major restrictions to using the .gg domain. It’s accessible to any business or individual, regardless of location or industry. You can register the domain for up to 10 years at a time. Many registrars also offer private registration as well.